After I graduated college, I had no access to an Oscilloscope. So, being a glutton for punishment, I decided to build my own. This is the oscilloscope that I built and that I use and that I continue to improve. I call it the PPMScope and I thought other may benefit from the software and hardware design. The hardware is based on the PIC16F877A Microcontroller and has a sample rate of up to 1 MHz and an equivalent sampling rate of up to 5 MHz (i.e. it can sample a periodic waveform at 5 MHz). The human interface to the oscilloscope is both a part of the box (knobs, switches, etc) and through a PC program written in C for Windows. 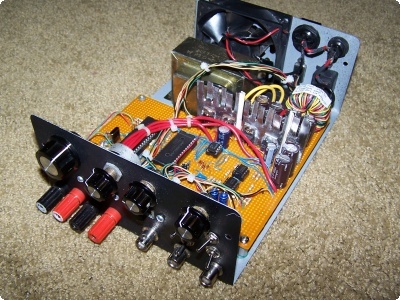 This function generator was designed to mount on top of the PPMScope Oscilloscope as a second board. It generates sinewaves, squarewaves, and triangle waves. You can adjust the frequency, amplitude, and offset. 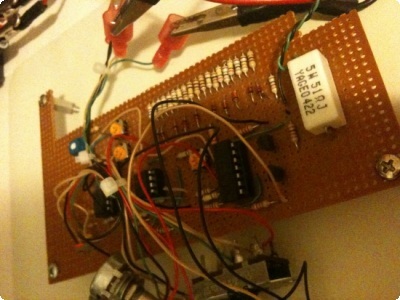 It only utilizies a comparator, a few opamps, transistors, and passive components. I call it the "Jelly Bean Function Generator" because it is doesn't utilize a function generator IC. 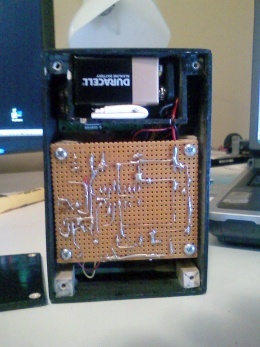 The design was inspired by a college project, but it operates fairly well for a simple low cost function generator. 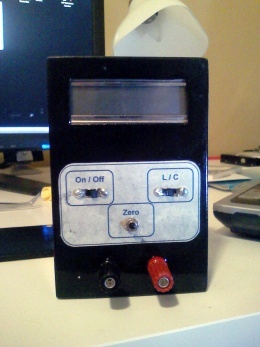 This is a simple LC Meter designed by Phil Rice that I built one weekend. 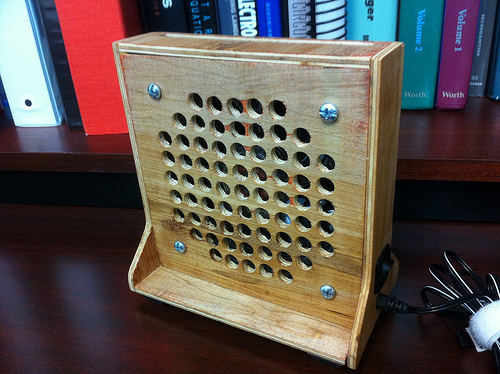 I constructed the case from basswood and used point to point soldering. Sorry, I don't have a PCB design. I laid out the components by "feel". It has served me well. I decided to make a solder fume extractor to help clean solder fumes out of the air around my electronics workbench. This was a fun project you can read more about here.